There is no better start to a day than to wake up from an amazing night of sleep. But now with your newborn, you might be sighing into your cuppa Joe every morning, wondering how long you can try to work something out before breaking apart. Fret not, because we understand. 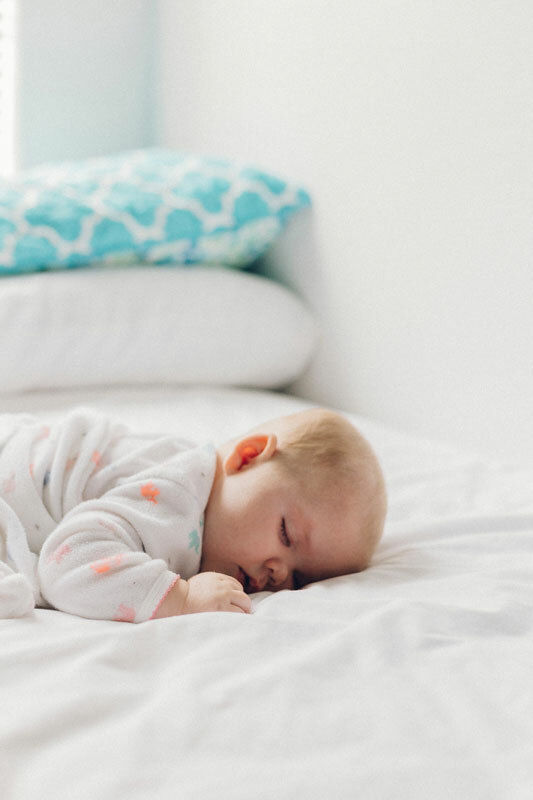 Babies often have sleep cycles that are erratic and tough to decipher and that is because they have not developed mature circadian rhythms (a biological process that reacts to light, helping you recognize when to sleep and stay awake, creating a cycle). Another more fundamental fact is that a baby’s sleep is simply different from an adult’s: they spend lesser time in deep sleep, hence they are much more easily awakened. It is important to figure a solution to regulate your baby’s sleep (allowing you a good night’s rest and more energy to experience the joys of motherhood!). And as we ease into toddlerhood, a proper sleep schedule will benefit your child tremendously because uninterrupted sleep ensures stronger immunity. Many parents practice “sleep-training” with techniques like Cry-It-Out (CIO) to help them cope with the inconsistent hours. Here are four ways to help your baby sleep through the night, and hopefully it effectively helps you and your baby through any torturous nights. This method is for babies who wake up at more predictable time frames, and the timings are not abhorrently erratic. This helps parents feel a better sense of control too. For one week, keep track of the timing your baby wakes up at. Then, beat her to it. If she wakes up at 12am and 4am, wake her up at 11.45pm and 3.45am, 15 minutes earlier than her supposed timing. As the days pass, increase 15 minutes before you wake her up – back to 12am and 4am, then 12.15am and 4.15am and so on. She should stop waking on her own and instead, wait for you to wake her up. As you slowly increase 15-minute sections, she learns to sleep longer too. Eventually you can take out the waking up part and she should sleep through the night. However, this method has its limitations as well because some infants may have too varied schedules for this to work. All babies go to bed at 7pm and wake at 7am, and the list of objects that are not allowed include pacifiers, co-sleeping, putting babies to sleep with help from a bottle or breast, rocking or bouncing into a deep slumber. To start off, you wake your baby up to teach her how to fall back asleep. So every three to four hours at night, you wake your sleeping baby up, un-swaddle her, change her diaper, nurse her, re-swaddle her, then rock her to sleep. This includes knowing how to let your baby fall asleep on her own. That would mean that you can carry her till her eyelids start fluttering drowsily, then ease her into the bassinet like a ninja. Depending on the week itself, you will wake up at different intervals of the night to repeat this routine. Soon enough, you should find her having more consistent sleep timings due to the strict schedules you follow to wake her up. Limitations include hearing your baby scream her lungs out at night when you intentionally wake her up. One of the oldest and most traditional sleep training techniques, the CIO is often one very controversial topic of discussion by parents. It has proven effective for many babies and parents, with few exceptions. Other than the times for nursing, you would not find yourself doing much to soothe your baby’s cries at night even though you are awake and observing her from afar. Sometimes it might even mean you have to cry along with her, but it will work better if you do not give in. That is not to say that caving into the cries once in a while is wrong, you can definitely still do it. This way, she learns to comfort herself to sleep independently, and with time you can get enough rest for the night too. Talk about limitations: Hearing your baby wail away in your emotionally-fragile postpartum phase might be plain torture. Many mothers find this method barbaric too, hence this is their back-up method for when they are too exhausted and frustrated to entertain their baby (whereby if CIO is not practised habitually, it sends the baby into fright mode, which is definitely not a good plan). The concerns of CIO namely when babies get distressed include brain damage, increased anxiety, and weakening of the parent-child relationship though it is not scientifically proven. As mentioned, this is a highly-controversial method but you can always have an attempt at it and determine if it works for the both of you. Some people might prefer a quiet room to snooze in, whilst others listen to music in order to fall asleep. Likewise, if your baby is not sleeping well in a quiet room, some soothing sounds that mimic the sounds of the womb might help her. 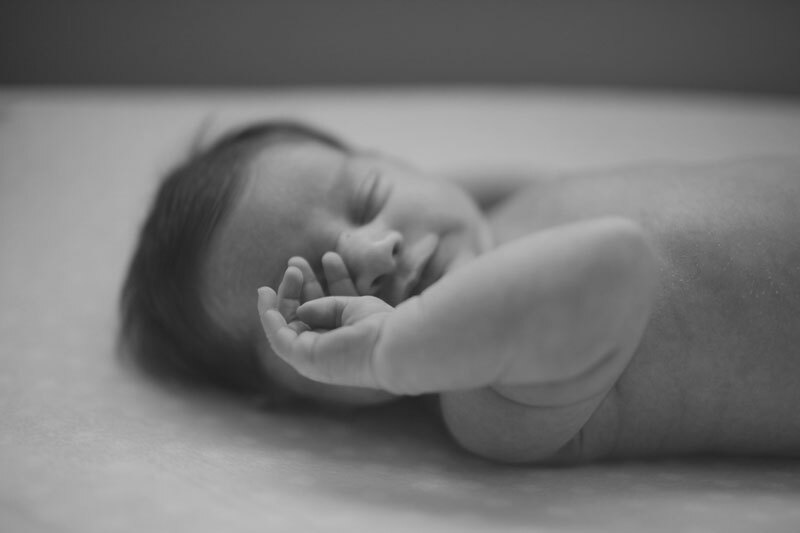 Monotonous, repetitive sounds lull babies to sleep really well. Examples include white noise and sounds of nature. The limitation for this is that your baby might grow too used to the sounds, and will only fall asleep when the music is turned on – which makes independent sleeping another cause for worry. However, this is definitely a quick solution to calm your baby down. Ultimately, sleeping independently is a skill we all learn one day even though some of us might take slightly more time than others. It is never an easy process, but will definitely be worth it. Fever in Babies: When Should You Be Worried?